Do you live in zip code 98108, 98118 or 98144? We’ve got a great new reason for you to take the bus, train, ride your bike or walk this summer. 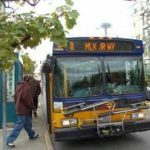 Transportation Choices Coalition is launching its SE Seattle ON THE MOVE incentive program to encourage residents in SE Seattle to try a transportation alternative like buses, trains, walking or biking. Sign up here for the ON THE MOVE program and we’ll give you a pre-loaded ORCA card good for trips on King County Metro buses or Sound Transit Link light rail or buses in July, August and September. 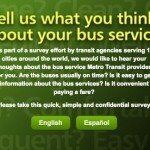 Take the bus, train, walk or bike at least twice a week instead of driving and report your trips to us. We have great partnerships with local businesses in your neighborhood so you can get discounts on coffee, food and much more when you use your special ON THE MOVE ORCA card to take transit, walk or bike to these businesses. Take transit, walk or bike to work, run errands, explore your neighborhood or enjoy fun summer activities with the ON THE MOVE program. Sign up today! Just sign up online or call 206-329-2336 and we’ll get you started.